Ramachandra medical College as Assistant Professor Cardiac Thoracic Anaesthesia from 2005 - 2008. 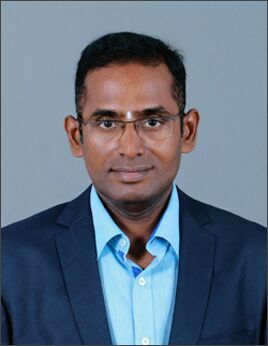 Consultant Anaesthesiologist at KMCH Kovilpalayam Hospital , Coimbatore. Post-operative ICU management and Critical care. ASA I to IV cases. Clinical expertise in upper limb and lower limb (peripheral nerve locator/ultrasound) guided. Have performed major aesthetic procedures (High Definition Contouring). Expertise in Video laryngoscopic intubation and assisted in bronchoscopic intubation. Has experience in cardiac anaesthesia. Percutaneous tracheostomy done under guidance and alone.operation, oral maxillofacial surgeries, etc. Special interest in trauma and orthopaedic procedures. Have experience in Infertility procedures e.g. ovum retrieval, embryo transfer,TESA, MICRO TESA, HSG, etc.